Residential Heating & Air Conditioning - Repair, Sales & Services in Avon Park, FL | Ridge Air Conditioning Inc.
For nearly 60 years, Ridge Air Conditioning, Inc. has been providing commercial and residential heating & air conditioning repair, sales & services in/around Avon Park, FL. Owner David Scott has over 40 years of experience in the HVAC industry and leads a team of professionals in repair services for your home heating and A/C units. We offer an initial assessment of your system and work with you on your budget and what your options may be. As a small family owned company, Ridge Air Conditioning, Inc. is dedicated to exceptional customer service to match our exceptional work. If you’re looking to purchase a new HVAC system for your home, our team of residential HVAC sales professionals in Avon Park can guide you through the process to ensure the purchase of a unit that is right for your home. We sell a variety of products, however, the main air conditioning distributor that we use is Comfortmaker. If you prefer units from Rheem, Goodman, Frigidaire or other HVAC companies, please let us know as we can still meet your needs. 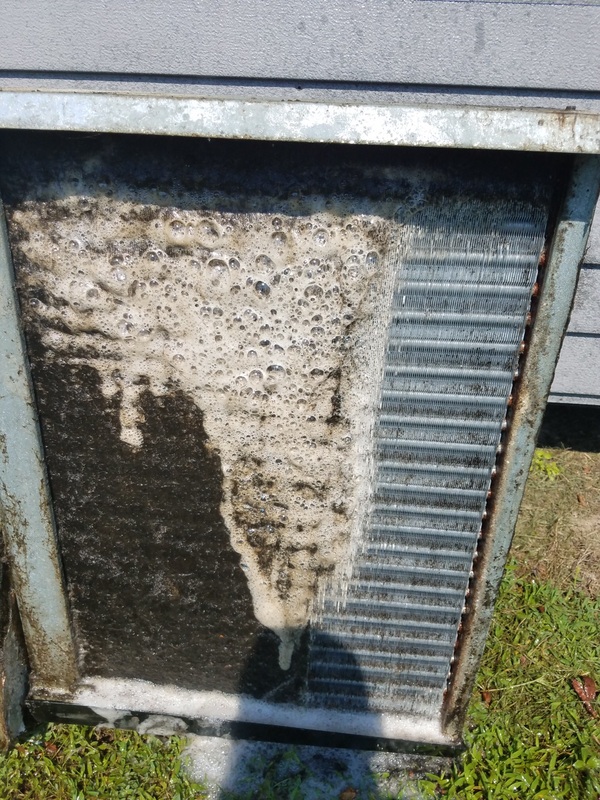 This is an Evaporator Coil being cleaned – on the left, you can see the evaporator coil is black. As the foamy cleaner is applied, you can see the clean coil results on the right. Services offered by Ridge Air Conditioning, Inc. include installation, repair and schedule maintenance of air condition systems and mobile home package units. This also includes straight cool and heat pump systems along with duct repair and installation. We also have experience in the installation, repair and maintenance of pool heat pumps. Call us today if you are in need of dependable, quality repair services for residential heating & air conditioning units in Avon Park, FL or the surrounding areas. Call us toll free today at 800-684-3453 or fill out our contact form for more information.